Go for the glow with these drop earrings from Mikimoto with an organic, free-form design. Crafted in 18K yellow gold, they feature an 11mm A+ quality Golden South Sea pearl topped with a sparkling spiral that's suspended on radiant row of diamonds that pierce your ear. 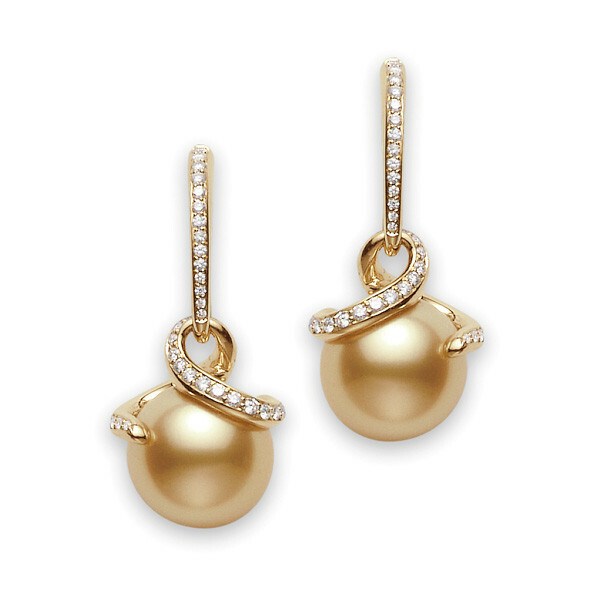 The pretty pearl is showcased from every angle in these marvelous Mikimoto earrings.